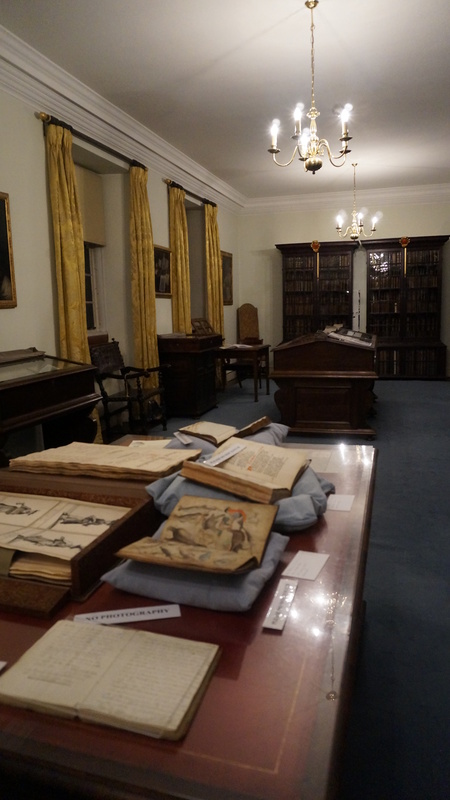 Check out the new series on the Magdalene College Cambridge libraries’ website looking at the college’s historic collections of manuscripts, first editions, letters and diaries. This series of posts follows on from the highly successful end-of-year exhibition, which included manuscripts by Kipling and Hardy, a script of Julian Fellowes’ Downton Abbey and exhibits which recorded draft-by-draft the process of writing and rewriting by poets such as John Mole (see picture), T S Eliot and I A Richards. Over the forthcoming weeks, posts will include explorations of the legacy of many writers and poets associated with the College from Samuel Pepys and Dorothy Pilley to Seamus Heaney and Carol Ann Duffy. This has been a busy week for Pepysiana and for Magdalene. First, the College hosted a wonderful visit to the National Maritime Museum to see Pepys: Plague, Fire, Revolution. This began with a talk from Robert Blyth, who has curated this extraordinary exhibition. Robert picked out some highlights of the displays and gave an absorbing account of Pepys’s life, from his operation for the removal of a bladder-stone to refusing to swear allegiance to William and Mary. Then members of College and our guests were able to look round, spotting as we went the transcripts of the Diaries made by the Rev. John Smith in the 1820s which are on loan from Magdalene College; and finishing towards the end of the exhibition with the magnificent Harwich portrait of Pepys, distinctively Pepysian its inclusion of a small table bearing books and sealed papers, a little glimpse of the harbour defences, and two ships sailing in the distance. And in the current TLS (18th March), Kate Loveman’s splendid book on Pepys and his reading habits Samuel Pepys and His Books heads up a mammoth review of recent interest in the diarist, which also features the recent, lavish Scala publication, The Pepys Library and the Historic Collections of Magdalene College, by M E J Hughes, the Pepys Librarian. In his lead review Arnold Hunt draws attention to how Pepys saw his library and his attitude to collecting. This theme will be taken further in our inaugural lecture for the Friends of the Pepys Library which will be given by Professor James Raven in November. The new books mentioned are available from bookshops and the usual on line suppliers. The Scala book on the library is also available to visitors in person at the College: RRP £14.95. Magdalene was well represented at the launch of the new Pepys exhibition in the National Maritime Museum last Wednesday — perhaps most significantly by Samuel himself, in the form of his confident, successful, slightly portly depiction in the Harwich portrait (on loan until from its familiar location in the Pepys Library). The exhibition is beautifully put together in the super new Sammy Ofer wing of the NMM. 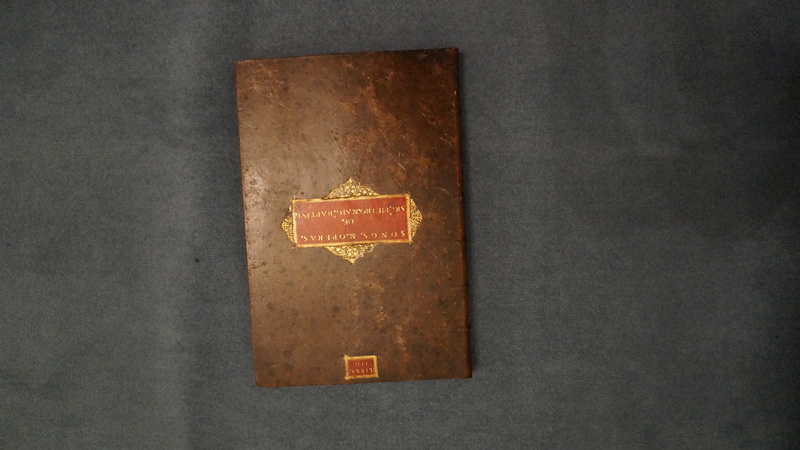 Though there is plenty of focused examination of the ten tumultuous years of British history covered by Pepys’s diary (1660 to 1669), the curators have also unearthed much significant material from the whole of Pepys’s seventy-years. There are some clever work-arounds to allow people to interact with pages from the diaries presented electronically (the originals do not leave the library in Cambridge, in accordance with Pepys’s will); and over thirty different lending institutions have provided both portraits of Pepys and of his associates, and also evocative and unusual objects: a favourite of ours is the pair of seventeenth-century green-tinted spectacles which are movingly positioned above Magdalene’s 1821 transcription of the final page of the diary: Pepys, fearing he would go blind, decides to finish his nocturnal composition of this most iconic of journals. Scala Press have just published “The Pepys Library and the Historic Collections of Magdalene College Cambridge”. The book is lavishly ilustrated with nearly 100 specially commissioned images, and it contains a new account by M E J Hughes (Fellow in English and Pepys Librarian) of how the splendid and varied Magdalene holdings came about — from the fabulous library left by Pepys in 1703 to the slowly evolving and idiosyncratic Old Library, and the evocative Archives. Visitors in person to the Pepys Library/College Office (normal office hours) can pick up a copy at the special introductory price of £12.95. Or it can be purchased in bookshops/on line (RRP £14.95). Extract from the Preface by Dr Rowan Williams (Master of Magdalene): Our libraries continue to speak of these essential dimensions of a healthy and well-resourced culture – creative science, the labours of exploring and enriching our human language, the struggle towards political maturity. Magdalene will continue to treasure all these – and we hope that those who join us in valuing our libraries will share our commitment to the vision they exemplify. MUSIC HAS BEEN A KEY THEME of the Magdalene Festival of Sound in recent weeks. 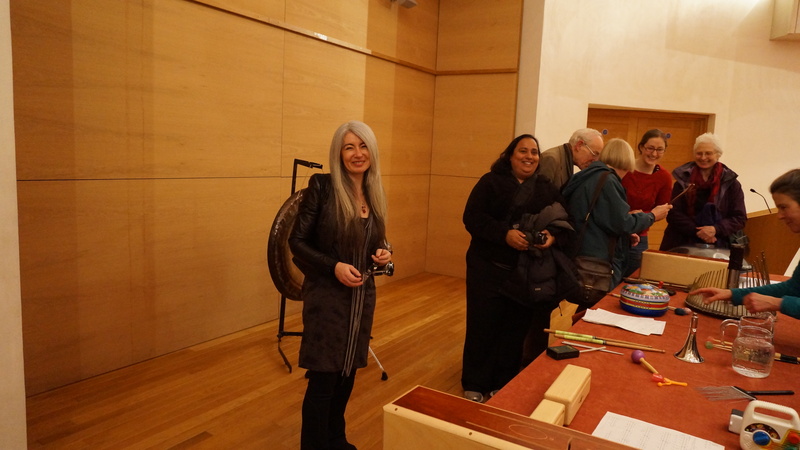 At the end of January, the College was honoured to welcome Dame Evelyn Glennie, who gave a lively, entertaining and inspiring talk on percussion, with performances on familiar instruments such as the snare drum and less familiar ones such as the water -phone. With enthusiastic audience participation, Dame Evelyn explored the different ways people engage with sound and she revealed for us the power of the physical in this process, and its rich interplay with an imaginative and emotional involvement. 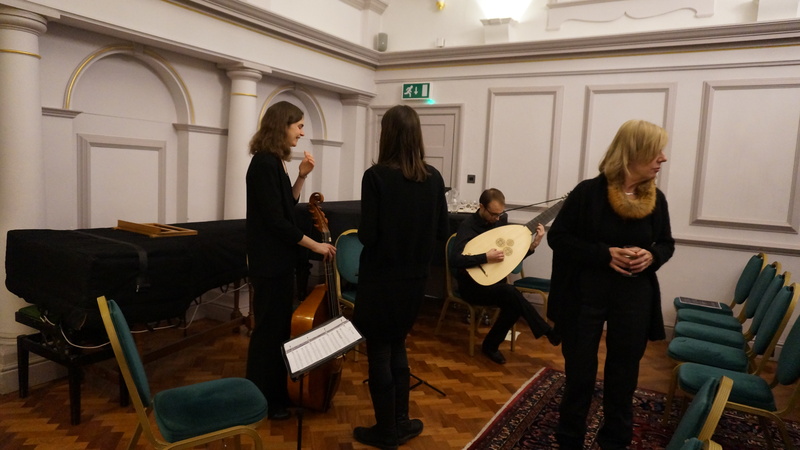 The Concert to celebrate Samuel Pepys’s Life in Music which took place the following week attracted a large audience who enjoyed music played by Jonathan Hellyer-Jones on the harpsichord and by the Defleo consort with the baritone Dionysios Kyropoulos. The pieces would have been known to Pepys himself; and some were transcribed specially from manuscripts in his collection. 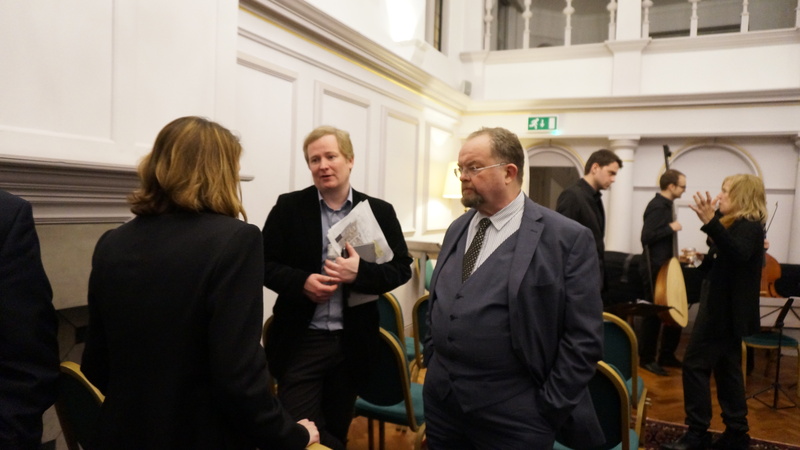 We also heard of Pepys’s love of music in his own words: in a script produced by Jane Hughes (Director of English Studies) based on Samuel Pepys’s diaries, the actor and RADA teacher David Timson narrated, while Leighton Pugh — a familiar voice of Radio 4 — read the words of Pepys.